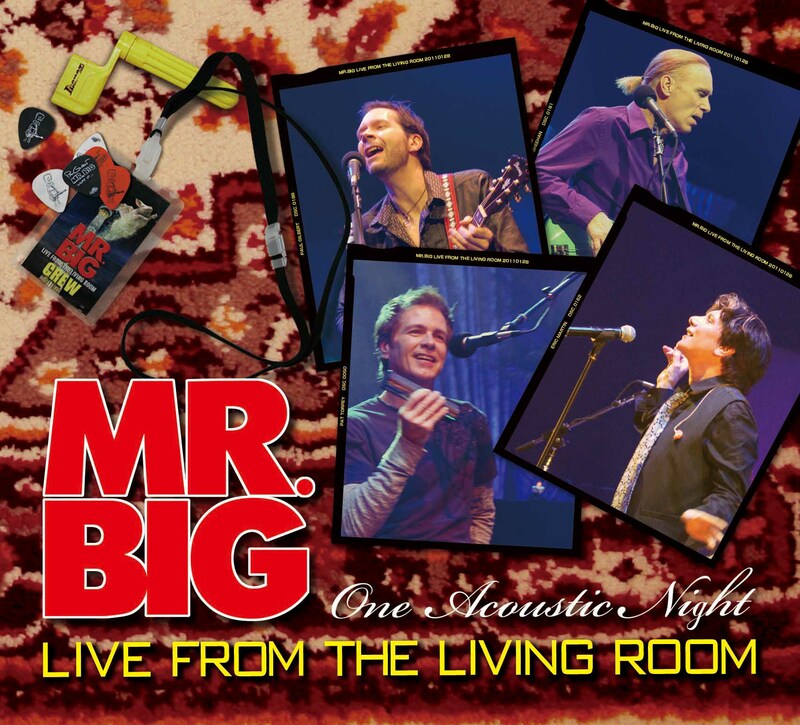 Recorded during January 2011 in Tokyo, Japan in front of a small studio audience, Live from the Living Room captures Mr. Big’s very first acoustic show. Since the show was done during and for promotion of 2010’s What If… album, seven of the ten tracks from this set are stripped down versions of songs from that album. Of course it’d be crazy for Mr. Big to do their first ever acoustic show and not perform their biggest hit “To Be With You” (from 1991’s Lean Into It). Completing the set is “Voodoo Kiss”, which comes from the same album as “To Be With You” and “Take Cover” from 1996’s Hey Man. Technically speaking, the band is very good. That should come as no surprise. Eric Martin sounds great and obviously Paul Gilbert & Billy Sheehan haven’t lost a step over the years. 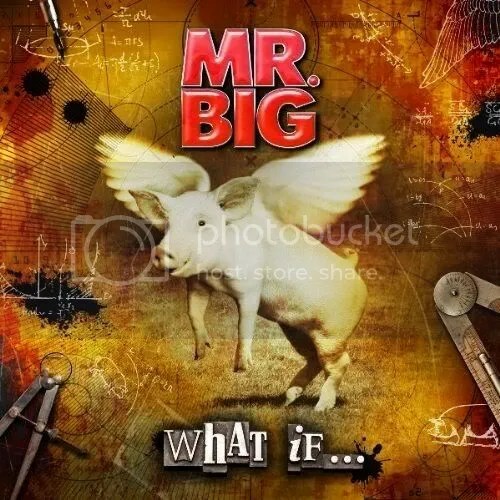 But… Mr. Big has never been one of my favorite bands. Despite the fact that they are great musicians, I’ve never really felt a big connection to them outside a few songs. Still, this live acoustic album should be an enjoyable listen that’s sure to please those that are big fans of What If… and Mr. Big in general. After having listened to “Undertow” numerous times since getting this album (the song was on my iPod which is a high honor), I have to say I absolutely love it. Especially the break where it gets a bit funky. Other favorites are the metallic “American Beauty” and the ballad “Stranger In My Life”. “American Beauty” is apparently an old Mr. Big song that didn’t make their debut album. Reminds me a lot of Van Halen or David Lee Roth’s “Shy Boy” (which Sheehan also played on). The album features a good mix of heavy numbers along with the slick melodic rock they are more known for. No offense to him, because even with a bit of wear he’s still a fine vocalist but I’ve always had a hard time buying Eric Martin on Mr. Big’s heavier and faster songs. I think he has a voice that is much more suited to the polished melodic rockers. Other than that, the musicianship on this album is fantastic and that really goes without saying. The interplay between Billy Sheehan & Paul Gilbert is amazing. Pat Torpey drives the songs and I have much more respect for him having watched a few of the band’s recent live clips on YouTube. “Unforgiven” is a bonus track included for the North American/European release. I thought maybe we finally stuck it to Japan (Mr. Big’s biggest market) since they ALWAYS get bonus tracks but they ended up getting the exclusive “Kill Me With A Kiss” on their release. Anyway, it’s a decent tune that again showcases Gilbert & Sheehan. The album has been pretty well reviewed by fans of the band and melodic rock sites so I imagine virtually anyone that’s liked what this band has done in the past will like this album. For me, I like the album but it isn’t something that will ever get much play from me. There’s just something missing from this band. Maybe it’s that they’re too good of musicians and too polished. This is a used copy I picked up from Amazon.com… turns out it’s a Russian import and looks like it was released in collaboration with UK’s Classic Rock magazine — cool! It’s funny to look at who is a member of this band and then actually listen to them. Not really what you’d expect from guitar virtuoso Paul Gilbert and bassist extraordinaire Billy Sheehan. Gilbert, of course, received attention in the rock & metal world for his shredding work in the band Racer X. Sheehan (who has been called “the Eddie Van Halen of bass guitar”) was in Talas and then later came into recognition during a stint as a member of David Lee Roth’s band, playing on Eat’em and Smile and Skyscraper. Putting aside technical their abilities, Mr. Big put forth a slick, ready radio melodic rock song and it paid off: “To Be With You” was one of the bigger hits of 1991 (sitting at #1 on the Billboard Hot 100 chart for 3 weeks) and just “Take My Heart” was another mainstream success for the band as well, propelling Lean Into It to platinum status here in the States. This isn’t an album I listen to much. “Green-Tinted Sixties Mind”, “Just Take My Heart” (which actually starts out with some Van Halen-esque picking) and “To Be With You” are great pop/rock songs, and I guess you could even say this is a really strong pop/rock album, but I usually go for something with a little more edge. This album and band are definitely tamed and polished for maximum mainstream interest. 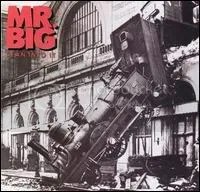 Not a bad thing, but not something I want to constantly listen to and it’s why this is the only Mr. Big album I’ve ever owned.